We all know that Spider-Man is definitely going to join the Marvel Cinematic Universe. Although until now there is no certainty about who will portray the character of Spider-Man Marvel version. The appearance of Spider-Man in the Marvel movie was first scheduled for next year through CAPTAIN AMERICA: CIVIL WA R, although it is unclear what role later how. After that reportedly will be able to solo movie next year. As has been frequently reported, Marvel decided to wear Spider-Man Peter Parker's teenage version. Speaking of Spider-Man who will participate CIVIL WAR, how his comments about the superhero Captain America this spider? When interviewed by IGN and reported by the site Comicbook, starring Captain America, Chris Evans , was asked if he was ready to become a mentor of Spider-Man. Considering this is the first appearance of Spider-Man in the Avengers team. "Of course. I would like to see the Captain became a mentor for everyone, you know what I mean? He's been through a lot and I think he's a good person. So looking at the people he had under his supervision will be very great. I hope Marvel doing so, "Snowpiercer actor replied. What Marvel fans? 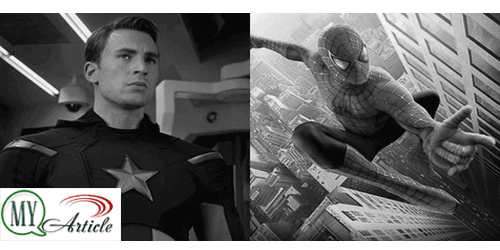 Agree it if Spider-Man so his Captain America?